how are you? 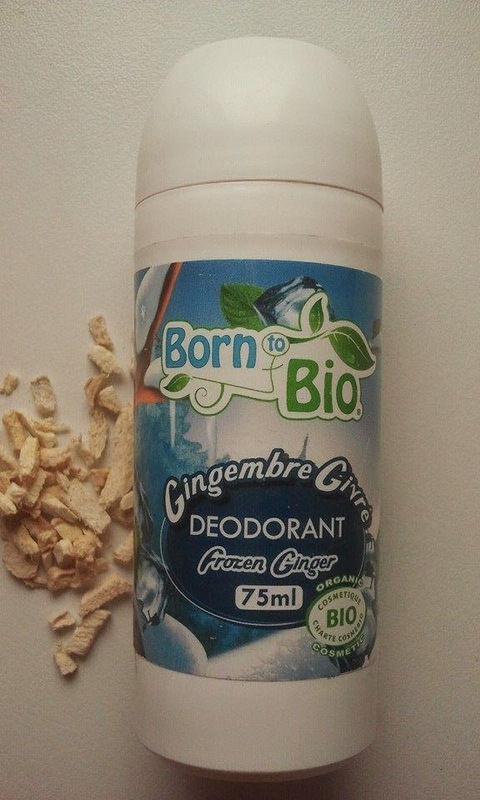 Today I would like to review Born to Bio natural deodorant. I have been looking for a good natural deodorant for a long time. If you are interested in natural cosmetics then you know how difficult it is to find a decent natural deodorant (same with natural mascara). There are many natural deodorants on the market but they contain aluminium which I want to avoid. We should be all concerned about our health and I am being careful what kind of things I apply under my arms. I am perfectly aware that a natural deodorant will not offer me as good protection as a traditional deodorant. It will not prevent the sweating process because it is not its job. So what the natural deodorant should do? It should stop or at least reduce the growth of bacteria. In other words it should minimize the odour. 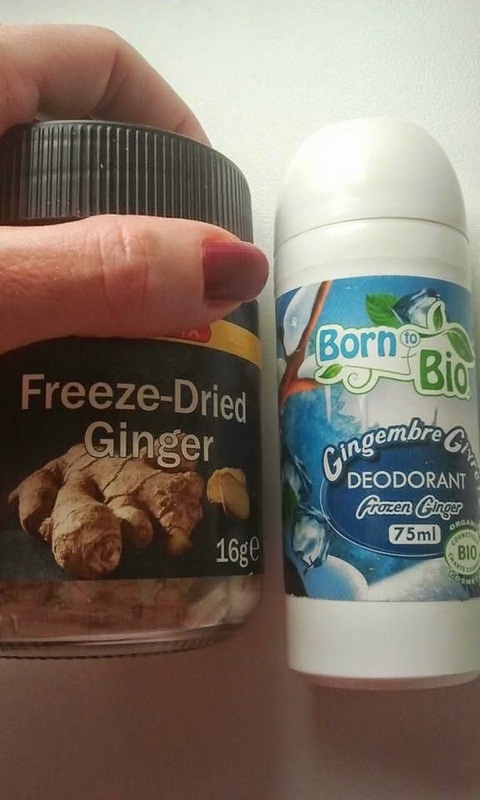 In the past I have been testing many natural deodorants but unfortunately they were rather bad: they were either too sticky or they would not dry quick enough. When I spotted products from Born to Bio company I was very happy. 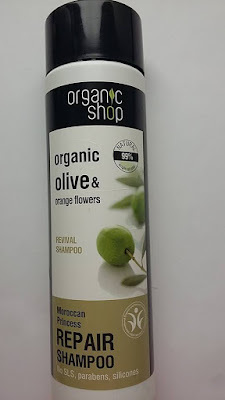 I have not heard about this company before and I was very curious to try some of their products so I have bought a hair conditioner and a deodorant. 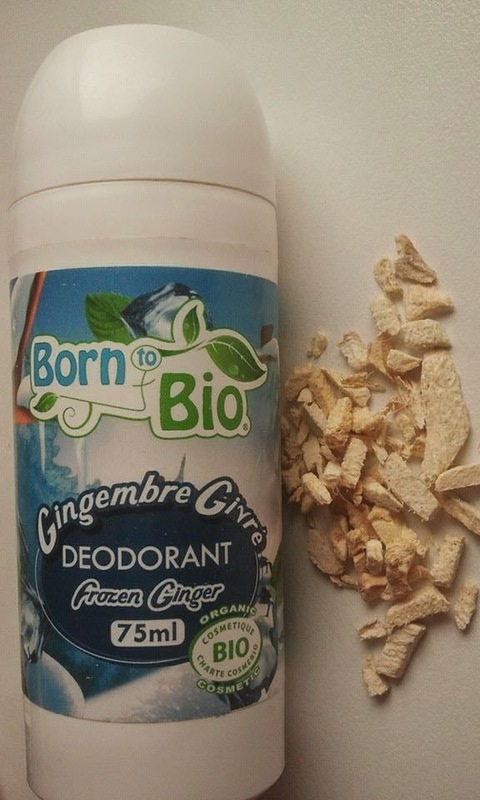 Deodorants are available in four different scents: ginger, rose, vanilla or zen (fresh grass smell). I got the ginger one. Ingredients: Aqua (Water), Pseudotsuga Menziesii (Balsam Oregon) Water*, Salvia Officinalis (Sage) Leaf Water*, Glycerin, Xanthan Gum, Benzyl Alcohol, Lauroyl Lysine, Mentha Arvensis Leaf OIil, zingiber officinale Root Oil, Cedrus Atlantica Bark Oil, Bambusa Arundinacea Stem Extract, Dehydroacetic Acid, Cymbopogon Martinii (Palmarosa) Oil*, Cupressus Aempervirens (Cypress) Oil*, Melaleuca Alternifolia (Tea Tree) Leaf Oil*, Geraniol, Limonene, Linalool, Citral, Farnesol. Because of the positives above I am still going to try the same deodorant but in different scent: vanilla or zen. I think that the ginger scent was too strong for me, maybe too masculine as well and that is why it didn't work for me but maybe it will work for you. I would say give it a try. What do you think? Do you have any favourite natural deodorants? today I would like to review Sante deodorant. I like Sante company and I was hoping that this deo will be really nice since acai berries are good for us:). 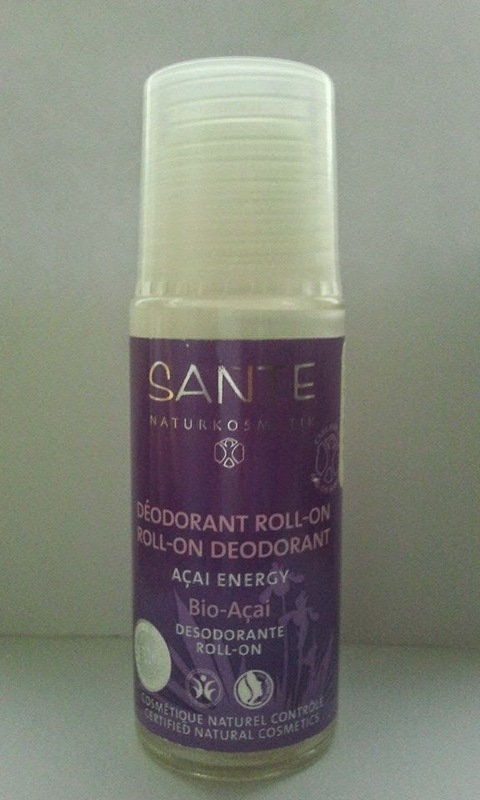 Manufacturer says that Açai Energy roll-on deodorant provides completely natural and long-lasting protection against body odor without irritating the skin. The revitalizing composition of essential oils boosts the deodorizing effect and leaves your skin feeling fresh. Contains no synthetic colorants, scents or preservatives.